European Parliament Calling For Break Up Of Google! What this means is, if the European Commission decides to oblige, then Google will have to break up its search engine from the rest of its business, at least in the EU. The vote passed overwhelmingly (384 to 174, with 56 abstentions), but the European Parliament doesn't have the power to actually enforce it - that's up to the European Commission. The ruling calls for all search engines operating in the EU to be broken up from their commercial services, and it doesn't specifically names Google. But since Google has a 90%share of the search market in Europe, it is by far the biggest stakeholder in this motion. European politicians are of the opinion that Google’s position as a market leader may pose a threat to the digital economy. They argue fair access to information and online products is not possible since Google has influence over how search results are displayed. This is yet another example EU trying to impose legislation on Google, having passed right to be forgotten earlier this year. This is a stark contrast to how Google is treated by lawmakers in the United States, with a recent court ruling declaring Google has every right to display search results however it wants. 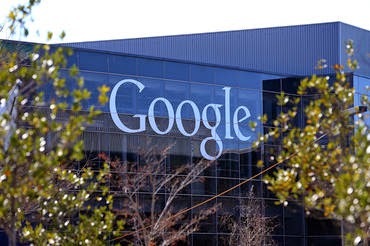 US senators and congressmen even attempted to intervene in EU Parliament’s vote by sending letters expressing their concern over the proposal to break up Google. With the vote being passed there is now significant pressure on the EU Commission to act, which means we have certainly not heard the last of this story. We'll keep you posted about future developments.